In December, winter sets in and the Full Moon is called the Cold Moon. It is also called Long Nights Moon, and the Moon before Yule. When are the Full Moons this year? In ancient times, it was common to track the changing seasons by following the lunar month rather than the solar year, which the 12 months in our modern calendar are based on. 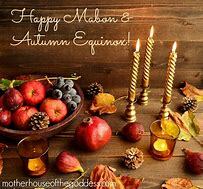 For millennia, people across Europe, as well as Native American tribes, named the months after features they associated with the Northern Hemisphere seasons, and many of these names are very similar or identical.